Can/Should We Purge Evil Through Capital Punishment? 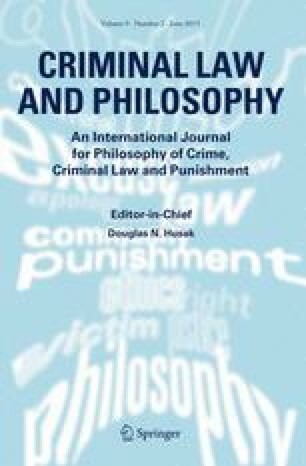 Matthew Kramer’s The Ethics of Capital Punishment: A Philosophical Investigation of Evil and its Consequences explores the morality of capital punishment and develops his own “purgative rationale” in support of the practice. I present my objections to Kramer’s purgative rationale and trace our disagreement to differences over the nature of evil, the autonomy of human character formation, and the concept of defilement. I thank Fionnuala Ní Aoláin and Jordan Steiker for helpful conversation and comments. “Facing History and Ourselves,” http://www.facinghistory.org/.